Are You Ready For Round 7? 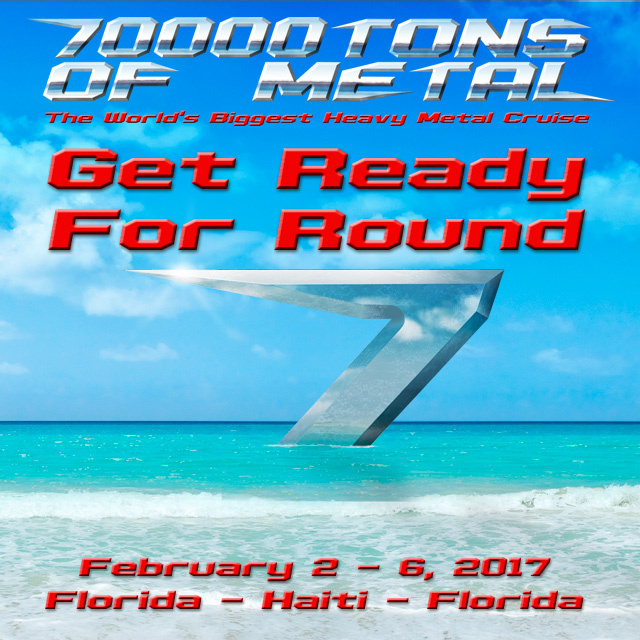 Round 7 of 70000TONS OF METAL – The Original, The World’s Biggest Heavy ‪Metal Cruise‬ will set sail on board the Independence of the Seas, leaving from Port Everglades, FL on Thursday, February 2nd 2017 to a brand new Caribbean destination: spectacular Labadee, which is the ultimate private cruise destination nestled on the northern coast of Haiti. We will return you to the real world on Monday, February 6th.